Humanity has been passing through stages of collective growth towards integration and unity. Our current collective crises–including climate change, financial upheavals, proliferation of nuclear weapons, gross human rights atrocities, and mismanagement of critical natural resources–are simply manifestations of our passage through a turbulent adolescence. The only way to a peaceful world is for humanity to take the next step towards maturity by establishing collective decision-making institutions that can evolve into a world federation of nation-states. This talk will both propose the steps that need to be taken towards the creation of global federation institutions and demonstrate how the establishment of its constituent institutions will facilitate the solutions to our seemingly intractable global problems. 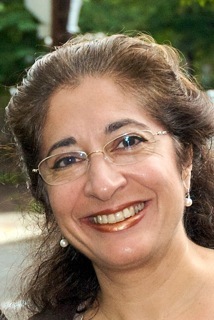 Sovaida Ma’ani Ewing is an international lawyer, independent scholar, and the founding director of CPGG — the Center for Peace and Global Governance (http://cpgg.org). 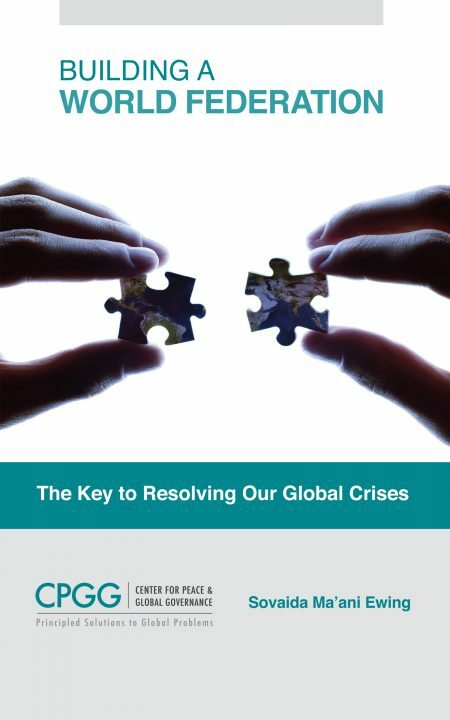 CPGG is a virtual think tank and online forum that pools and proposes principled solutions to pressing global problems through publications, podcasts, lectures, workshops, webinars, and targeted consulting. CPGG has just published Sovaida’s latest book entitled Building a World Federation: The Key to Solving Our Global Crises. Sovaida is also the author of Collective Security Within Reach published by George Ronald in 2008. She maintains a blog that analyzes and offers principled solutions to current global problems at http://collectivesecurity.blogspot.com. Her other publications include Laws of the Kitab-i-Aqdas, Tracing Their Evolution in Religious History, co-authored with Baharieh Rouhani Ma’ani (published by George Ronald) and Creating a Baha’i Identity in Our Children published by Grace Publications. 1 Pings/Trackbacks for "Sovaida Ma’ani Ewing, “Building a World Federation: The Key to Solving Our Global Crises”"